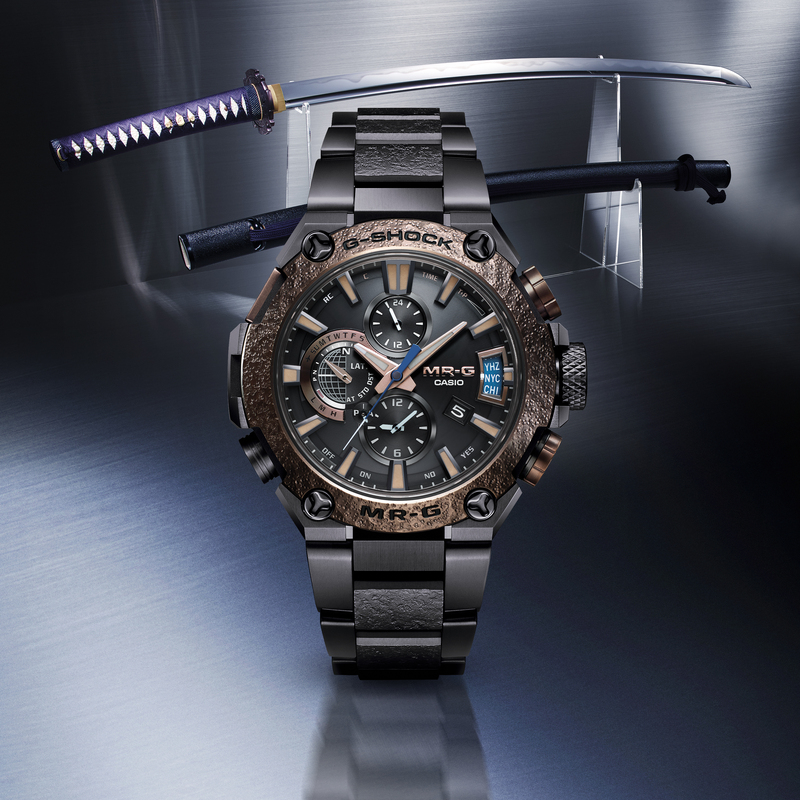 LAS VEGAS, May 31, 2018 – T Today, Casio G-SHOCK presents the latest additions to its men's MT-G and G-STEEL lines at COUTURE, the most exclusive and intimate destination for the luxury jewelry and timepiece market. G-SHOCK continues to innovate on band and bezel design as well as the connectivity of its metal timepieces while offering premium, yet indestructible watches. The three new models on display during COUTURE, the MTGB1000-1A, MTGB1000B-1A and the GSTB100XA-1A, all utilize Bluetooth low energy technology to pair with smart phones via the G-SHOCK connected app. "We are eager to make our return to COUTURE this year," said David Johnson, Vice President of Casio's Timepiece Division. "The new models on display continue our path into connected technologies among the elevated G-SHOCK timepieces, while still incorporating the classic toughness and durability for which the brand is known." Part of G-SHOCK's MT-G luxury men's watch collection, known for its metal and resin layered band, the two latest timepieces feature a polished look complete with a redesigned core guard, box frame, 2.1mm slimmer case and a new band structure composed of rubber and metal parts. Available in a silver case with black and red accents (MTGB1000-1A) and a black case with red accents (MTGB1000B-1A), the timepieces also boast premium features such as G-SHOCK's Multi-Band 6 Technology, which provides accurate timekeeping virtually anywhere via radio signals from up to six different transmitters worldwide, a sapphire crystal to protect against scratching, as well as tough solar technology. The MTGB1000-1A and MTGB1000B-1A will retail for $800 USD and $900 USD respectively, and will be available for purchase beginning in July at standard G-SHOCK retailers. The latest addition to its refined G-STEEL line of men's watches, the GSTB100XA-1A, G-STEEL Connected Carbon Bezel timepiece comes outfitted in a black and silver colorway that features the brand's popular two-tone layered band in black and blue. This timepiece incorporates a layered carbon fiber bezel, sapphire crystal, and solar-powered charging capabilities. The GSTB100XA-1A will retail for $600 USD, and will be available for purchase beginning in July at standard G-SHOCK retailers.